Leading Air-conditioner manufacturer Bluestar is eyeying for up to 30 per cent growth in its turnover this year on the back of growing demand from non-metro cities. further, the company has recorded around 57 per cent of its sales from non metro cities in the last season, is now aiming for even higher contribution this year. 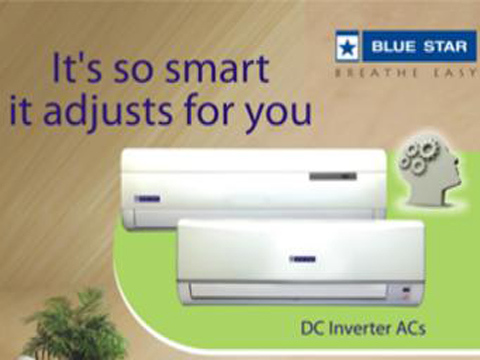 Sharing views on the matter, Blue Star Executive Director and President of AC&R Products Business, B Thiagarajan told media: "We are aiming for up to Rs 1,000 crore sales from the room air-conditioner (AC) this season. The company is planning to spend around Rs 35 crore on branding and marketing." Last year, Bluestar sold residential air-conditioners worth Rs 700 crore. Moreover, the company is also planning to come up with a new plant in the southern parts of the country with an investment of Rs 150 crore to cater to the market there. "Most probably the new unit would come up either in Tamil Nadu or Telangana. Production would start by December 2016," he said. At present, the company has seven plants in India, out of which two are in the north India and rest are in western parts of the country. "We are getting around 40 per cent of our sales from south and we don't have any plant there. We are removing those gaps," Thiagarajan added.